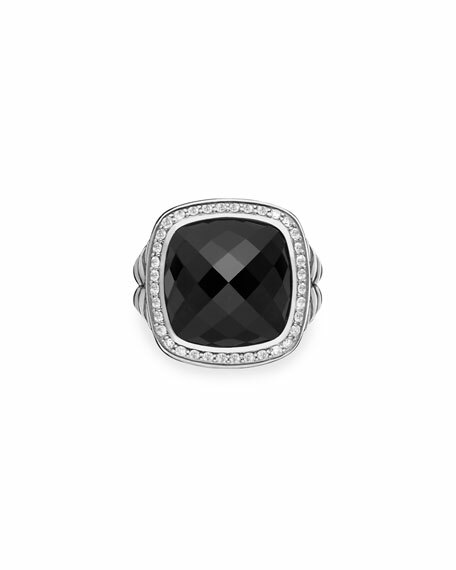 David Yurman ring from the Ch??telaine?? Collection. Sterling silver double-spiral band. Pav?? diamond prong setting. Faceted Hampton topaz, 14mm (0.5"). 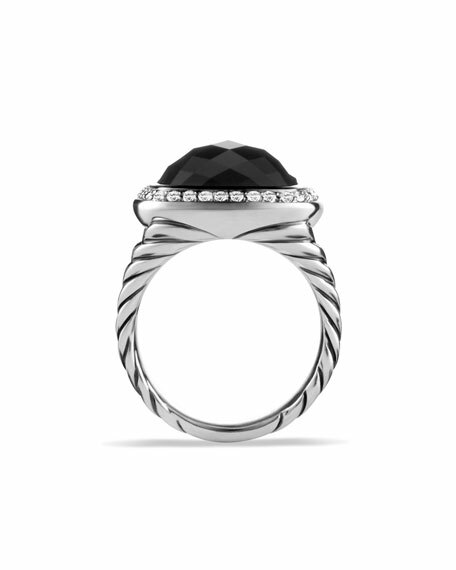 David Yurman ring from the Ch??telaine?? Collection. Sterling silver double-spiral band. Pav?? diamond prong setting. Faceted Hampton topaz, 14mm (0.5"). 0.08 total diamond carat weight. Imported. David Yurman ring from the Albion?? Collection. Polished sterling silver band and setting. Faceted blue topaz cushion face. Approx. 0.7"H (18mm). Made in USA.